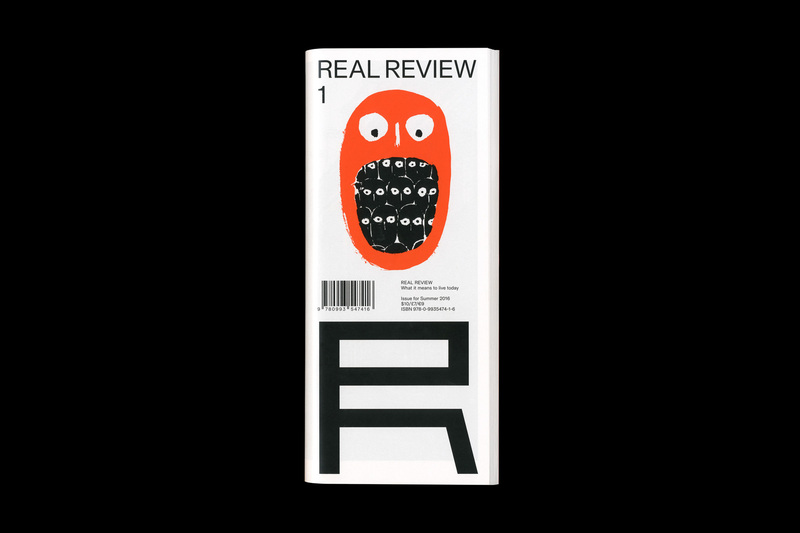 Real Review is a quarterly contemporary culture magazine with the strapline “what it means to live today”. 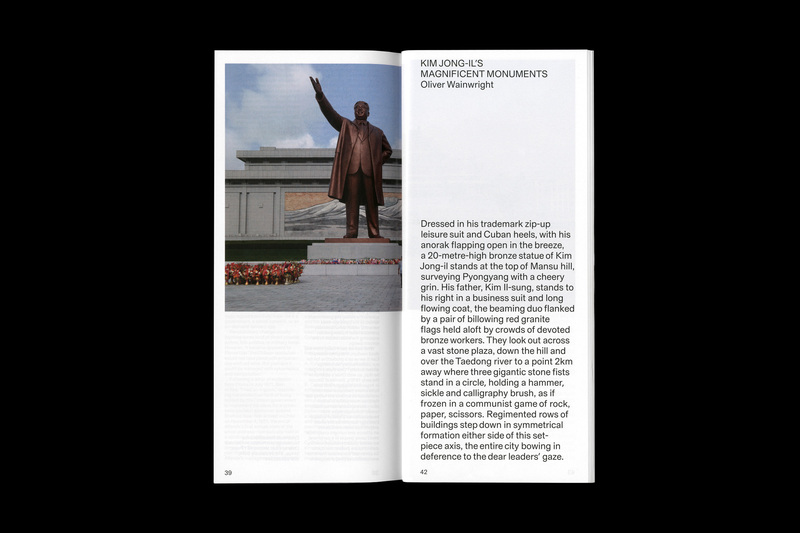 Our agenda focuses on the politics of space, and trying to understand how everyday conditions enforce and reinforce power relations. 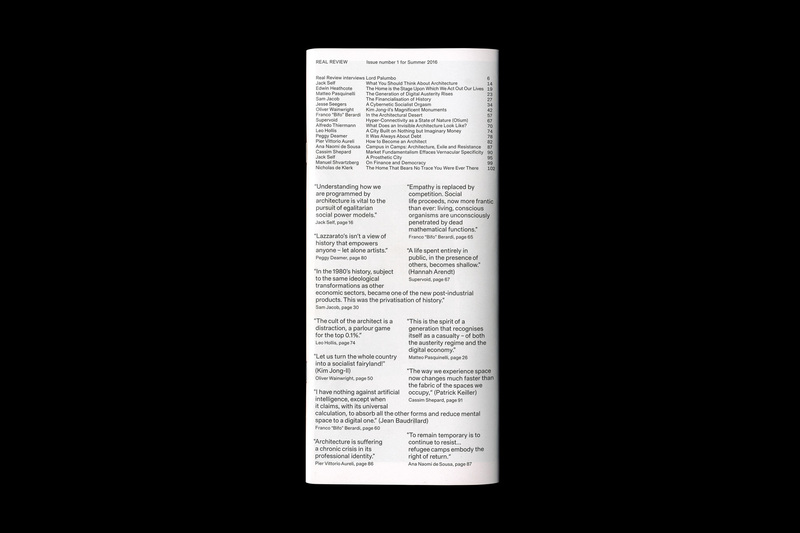 Real Review pursues what it means to live today. 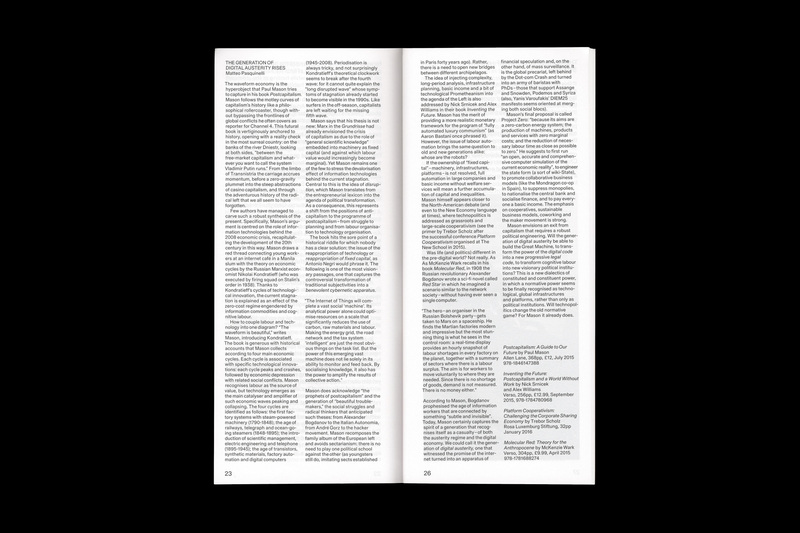 The principal is to design an efficient, economical and readable format, the kind of format that could be around for a very long time and that readers would create a unique relationship with. 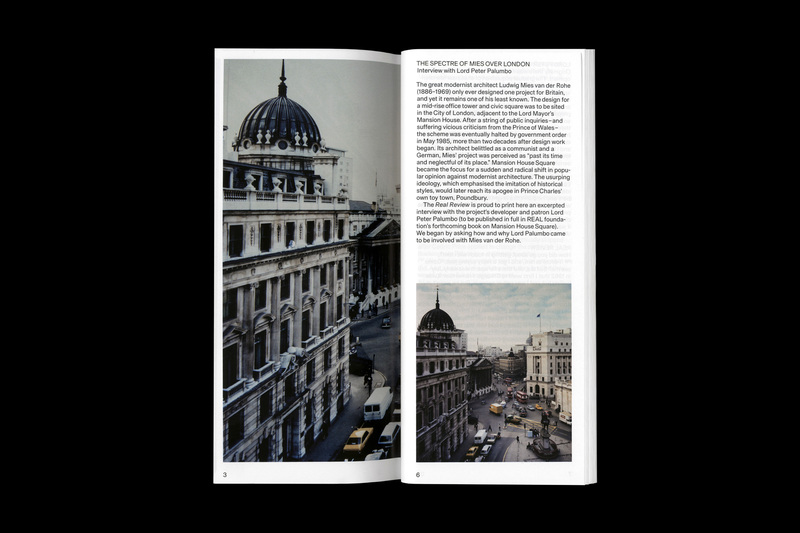 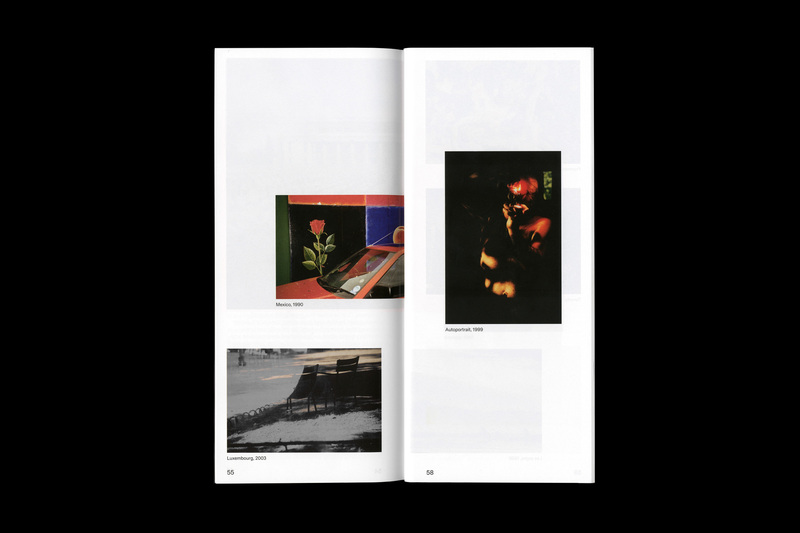 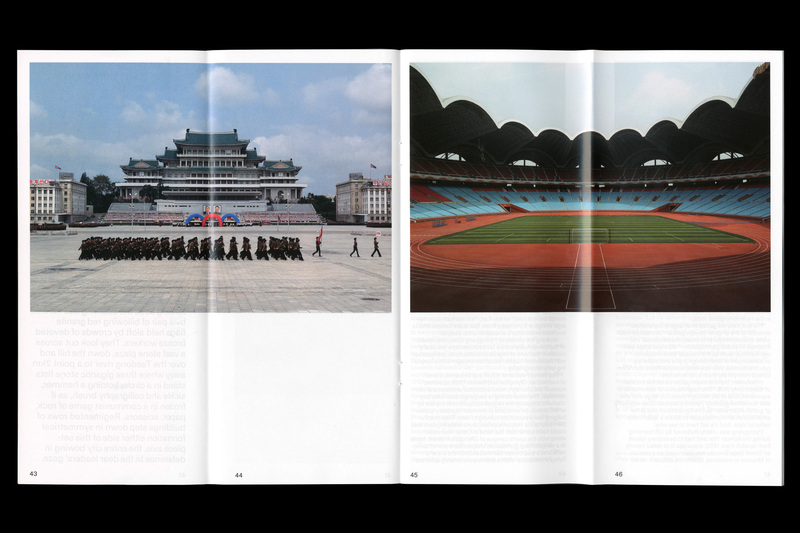 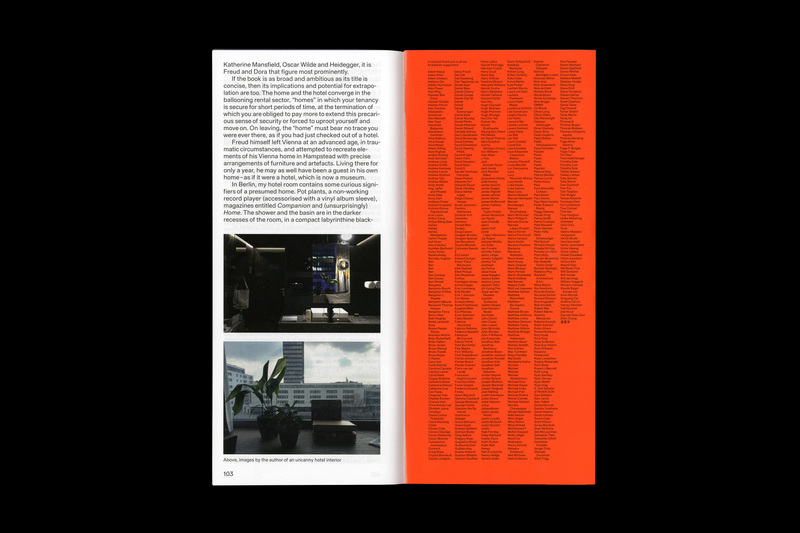 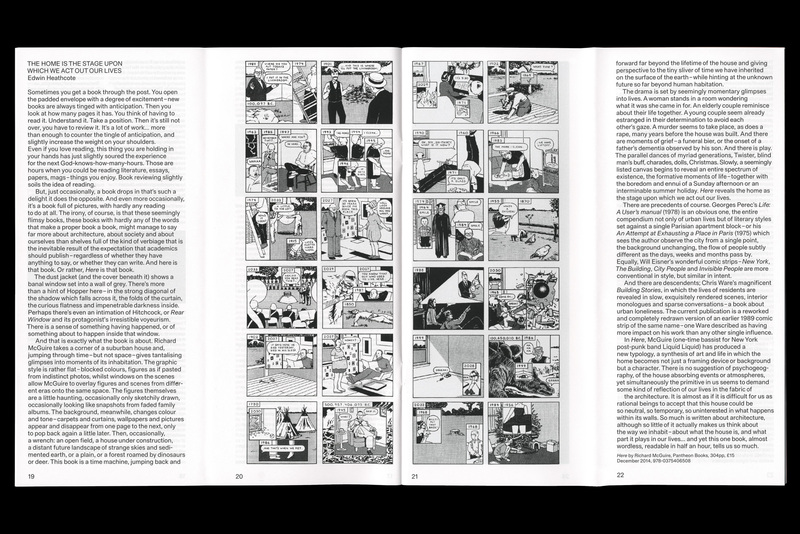 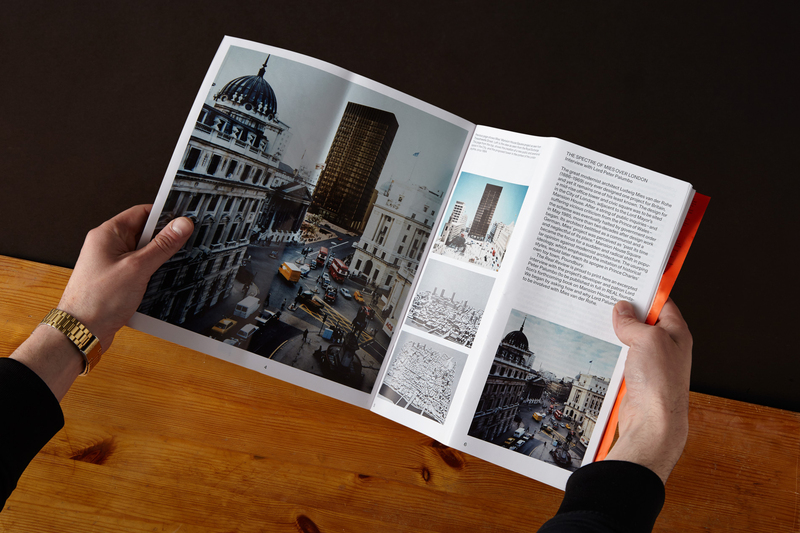 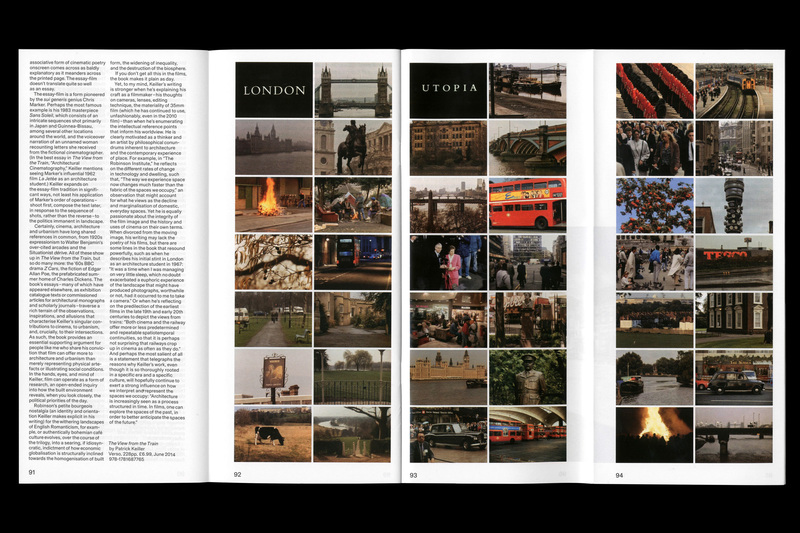 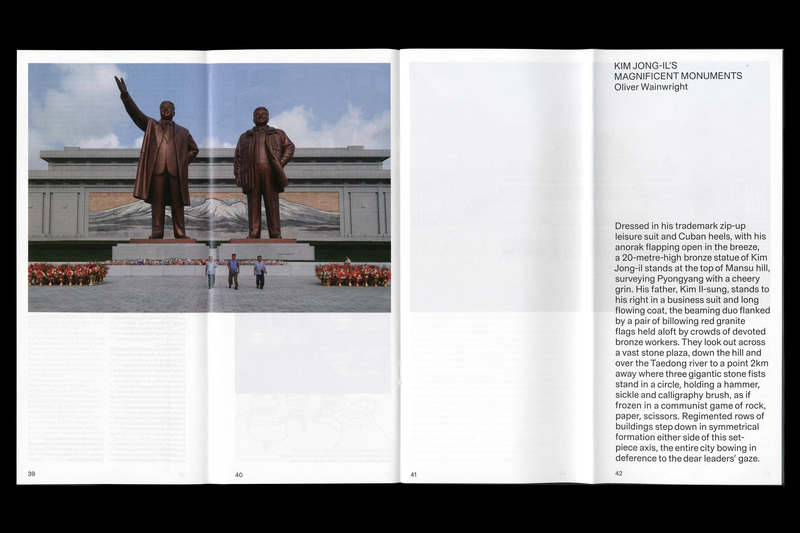 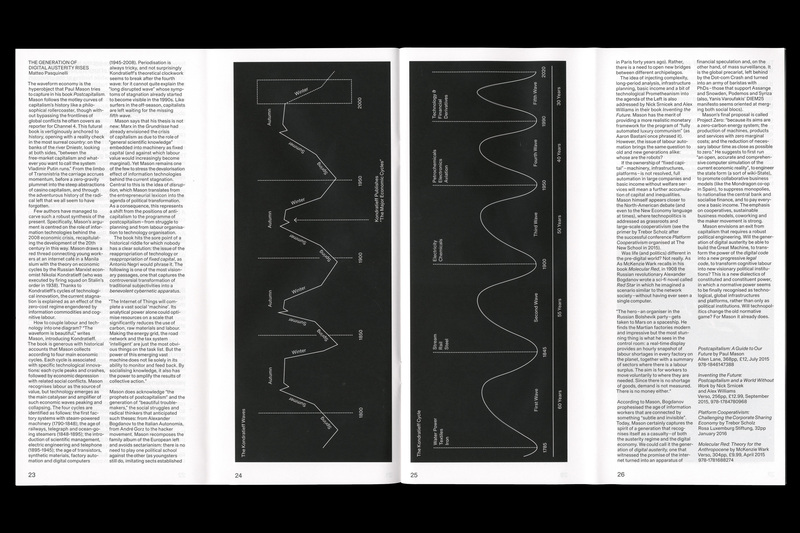 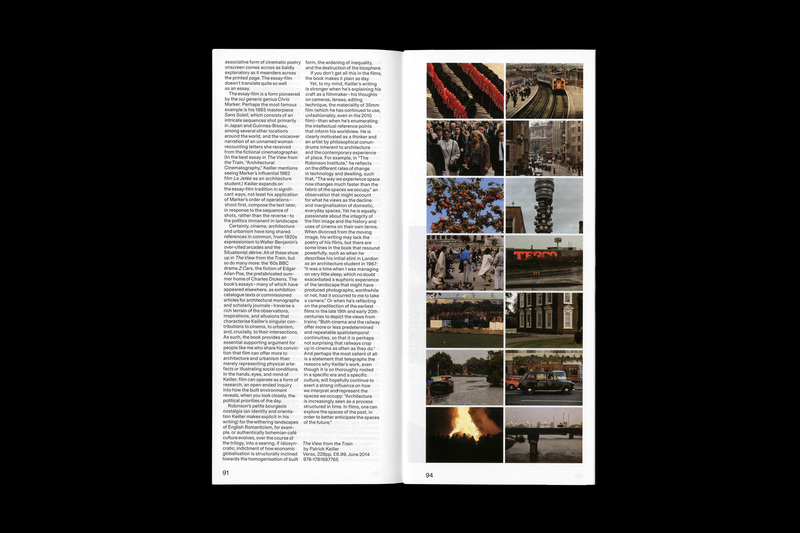 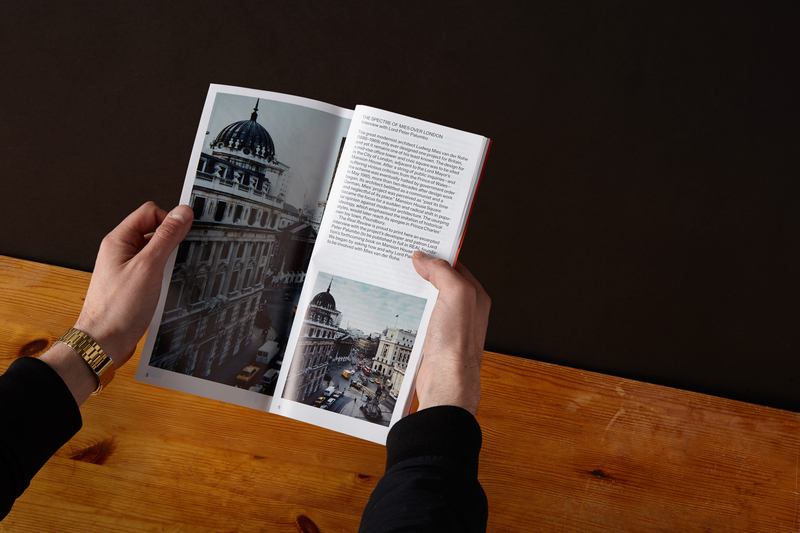 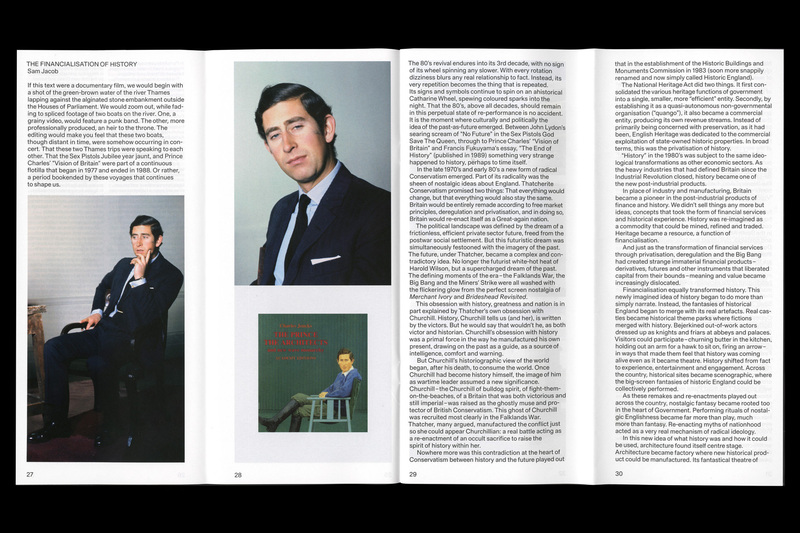 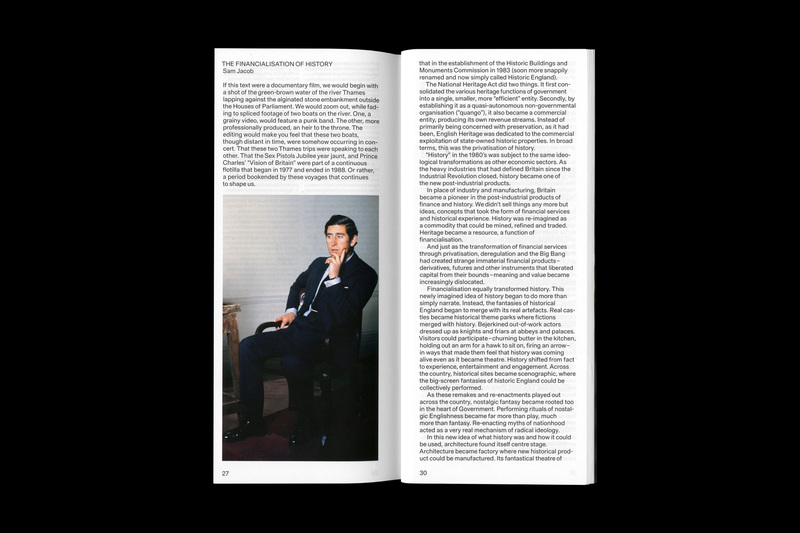 Recognising that magazines often end up folded in half by the reader, the Real Review presents itself in a pre-folded format; the design direction responds to the architecture working across quadruple page spreads rather than the usual double page spread. 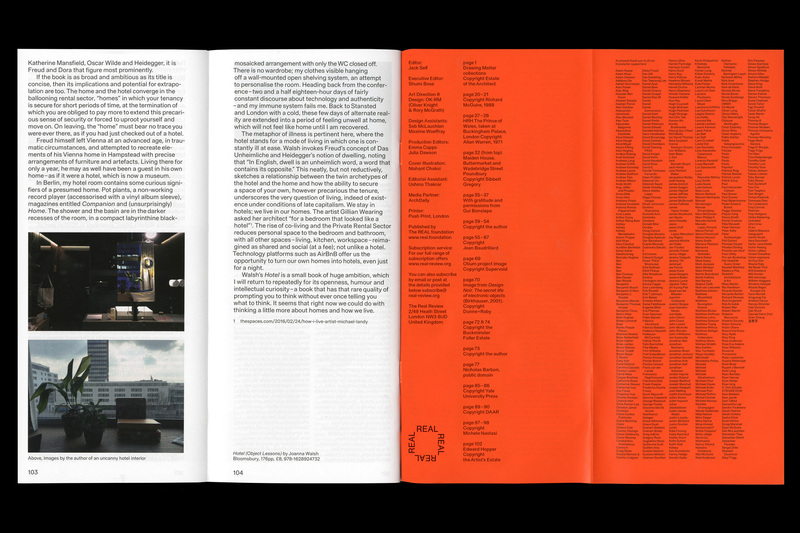 The ‘R’ marque is a revival from an alphabet created by Edward Wright, a British typographer and graphic designer, who was extensively involved in architectural lettering and signage in the mid 1950s, his letter forms becoming synonymous with the fabric of the built environment. 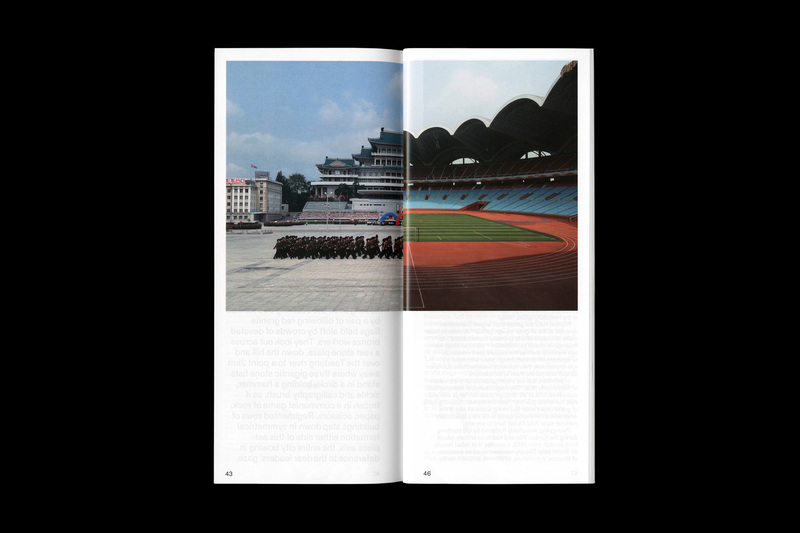 The cover of each issue features an illustration by Nishant Choksi, an illustrator who’s work regularly appears in many of the leading current affairs publications. 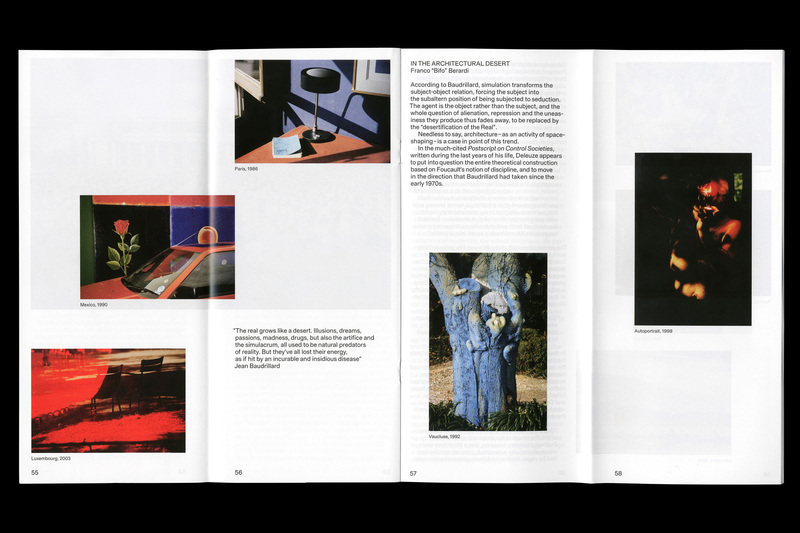 Real Review is published by REAL foundation in partnership with OK-RM, (still-life photography Max Creasy).